This feathery and fluffy hen sits on an entire nest of colorful egs. 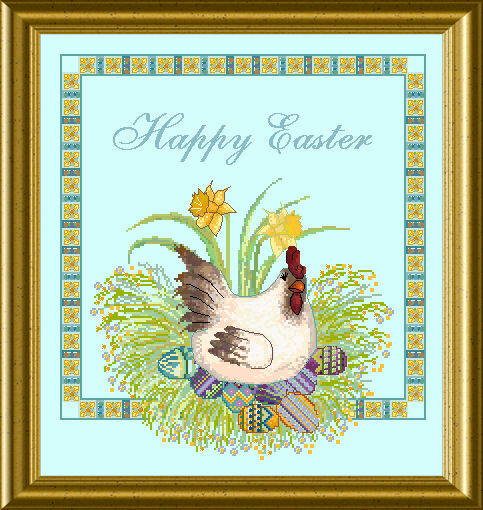 Inmidst the fresh green grass you stitch Easter Eggs with cross stitch and special stitches and various threads and metallics. The abundance of grass and beaded flowers spills over the nest’s edge and even over the frame ! 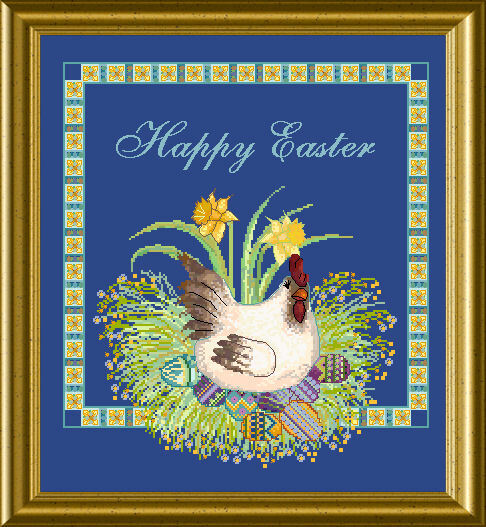 The mere design size is 183 x 203 stitches.